MANILLA – The government of the Philippines will soon turn the public spotlight onto tax evaders by publicizing information about tax dodgers. 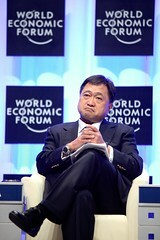 In a statement issued on August 6th the Finance Secretary of the Philippines Cesar Purisima said that the government will soon begin a new program of publishing information on “tax anomalies” occurring in different industries, in an effort to raise transparency and bring people’s attention to the widespread tax evasion which is carried out by businesses. As the first “anomaly” in the program, Cesar Purisima pointed out that among the country’s 6 301 regulated pawn shops, only 5 230 were registered for taxes, meaning that approximately 1 071 of the businesses paid no taxes at all. The Secretary also pointed to other industries with high instances of tax evasion, with a specific mention of restaurants and food vendors in tourist areas, as such businesses have been paying progressively less tax in recent years, despite an increase in the number of visitors to the country.